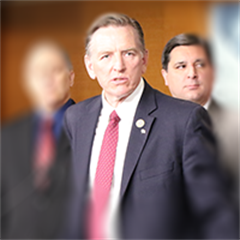 Gosar Review: No Collusion. No Obstruction. We have finally concluded one of the longest and wide-ranging investigations in our country’s history. For 657 days, Democrats pushed lies to the American people, while fake news media relentlessly reported falsehoods about our duly elected president. After two years, Special Counsel Mueller’s report has finally confirmed, there was ZERO collusion and NO obstruction. If we want to get to the bottom of the deception, then we should start questioning those who are responsible for weaponizing our justice and intelligence departments. This week, I joined my conservative colleagues in requesting the declassification of documents necessary to find out how Congress, the courts, and the American people were deceived by Department of Justice leadership into a two-year investigation that failed to discover any evidence of Russian collusion. 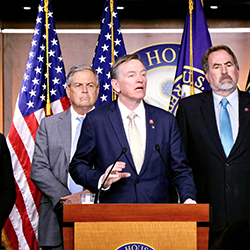 This week, I led members from the Congressional Western Caucus on the House floor slamming the ludicrous Green New Deal. Make no mistake, the Green New Deal is a death sentence for the American Dream. I am pleased to see my colleagues in the Senate put this half-backed proposal out to pasture. This week, I introduced a resolution supporting the designation of Cesar Chavez’s birthday, March 31st, as National Border Control Day. 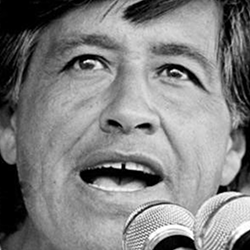 The resolution expresses strong support for Chavez’s fight to defend the interests of the American farmworkers, and for his recognition that non-violent action could protect these workers against the business interests which would replace them with illegal foreign labor; and encourages recognition and celebration of National Border Control Day.